Before I try to convince you that I’m making Sunday “Style Sunday” or my original idea, “Kintage Style Sunday”, take that with a grain of salt (what does that even mean?) and don’t believe me until I am able to do it a couple of weeks in a row. This is something I had been wanting to do for a couple of months now so I’m excited to get it started. 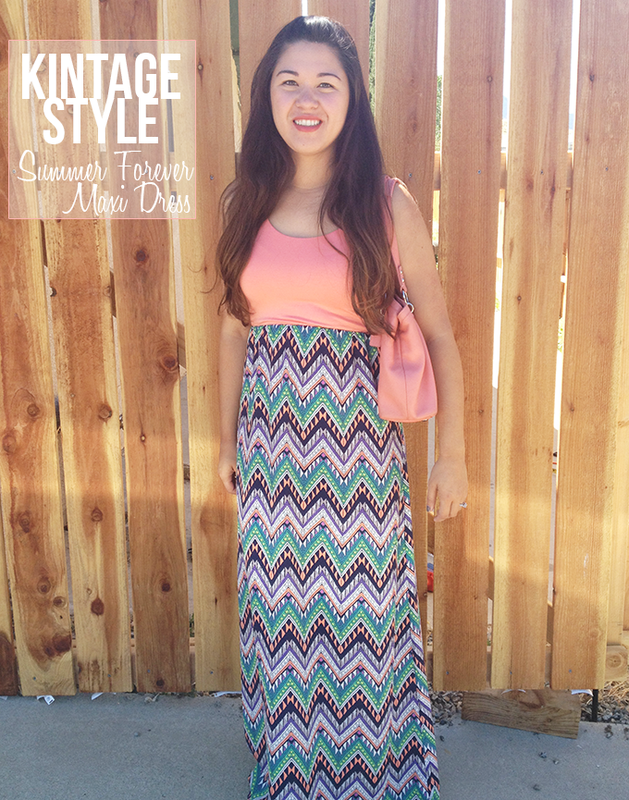 I’m not even kidding, the Summer Forever Maxi from Kintage is my new favorite dress. I was going to accessorize a bit, but basically the print in the dress is more than enough pretty detail. Since all of the Kintage inventory is in my house, I tend to try on everything the second it comes in. For some reason, the batch of new arrivals that this dress was part of, I didn’t try on. This morning I woke up needing something to wear to spend fathers day with Blaine’s family and I decided to try it on. I fell in love the second the skirt hit the floor. I’m sure you’ll be seeing a lot more of this, but I promise if you do I’ll try to fancify it a bit. Fancify is totally not a word, by the way. P.S. I named this dress after this fun song that has been stuck in my head ever since this lovely lady introduced it to me on her blog.